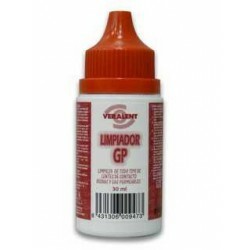 In SalutemShop we offer drugstore products related to optical and orthopedics. Glasses, wipes for cleaning glasses, eye patches , wetting solutions for eyes, eye wash solutions , liquid cleaning all types of lenses , ankle , wrist, knee , slings , cervical collar , sacro lumbar belts, cold gel pads / heat , crutches, cast protector arm and leg , hot water bottles , files , tweezers , scissors , pliers , nail clippers , chain tripe , curl eyelashes, deodorant insoles, bunion correction , inter - digital correction , tubular protector for friction, callus , blisters and chicken eye . 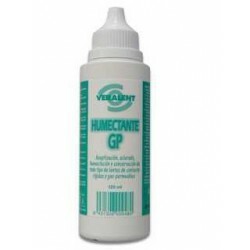 Veralent GP Moisturizer 120ml.Aseptización, rinsing, moisturizing and conservation of all types of contact lenses and rigid gas-permeable. 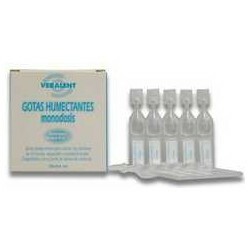 Veralent GP Cleaner 30ml.Cleaning of all types of contact lenses and rigid gas-permeable. Wetting Drops Veralent 20 pods. Wetting Drops Veralent 20 pods.Wetting drops to relieve skin irritation, dryness and eyestrain. Compatible with the use of any type of contact lens RGP and soft both. Duplo Oûne Unique Solution 2 x 360ml. Duplo Oûne Unique Solution 2 x 360ml.Liquid disinfectant. 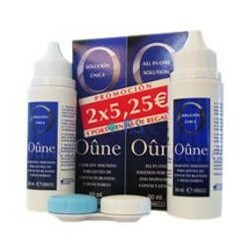 It is called only because it has several functions, disinfectant, humectant and preservative.Oune is a multi-purpose solution for soft contact lenses and disposable. Travel Unique Solution oune Duplo 2 x 100ml. Travel Unique Solution oune Duplo 2 x 100ml.Liquid disinfectant.One is called because it has several functions , disinfectant , humectant and preservative. OftaClean ophthalmic tissues. 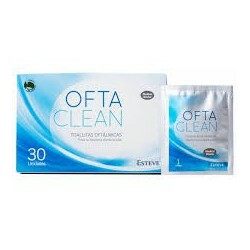 Esteve.Esteve OftaClean eye wipes are suitable for daily cleaning eye. Euphralia ophthalmic solution. Boiron. Euphralia® is an ophthalmic solution used as eye Boiron Laboratories cleaner in adults and children aged one year based on extracts from plants like eyebright and calendula. Vis Glyc pods. PHARMADIET. 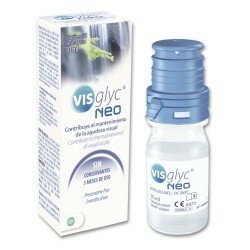 Vis glyc pod is a sterile solution for ophthalmic use, with physiological pH, based on natural substances, presented in practical portion packs of 0.5ml indicated to prevent eye injury contributing to the maintenance of visual acuity. 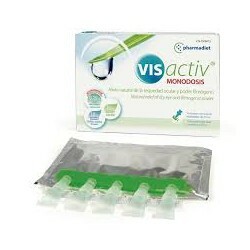 Vis-Activ pods. PHARMADIET. Ophthalmic solution with Hyaluronic Acid and Centella asiatica Aloe vera, lubricant and healing and combat discomfort caused by exposure to sunlight. Activ Vis continuous use. PHARMADIET. Activ Vis continuous use. PHARMADIET. 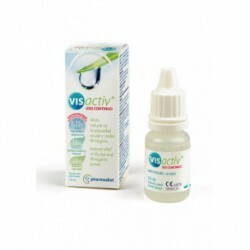 Vis activ is a hypoosmolar sterile ophthalmic use solution with physiological pH distilled water based Aloe Vera and Centella Asiatica, with hyaluronic acid. 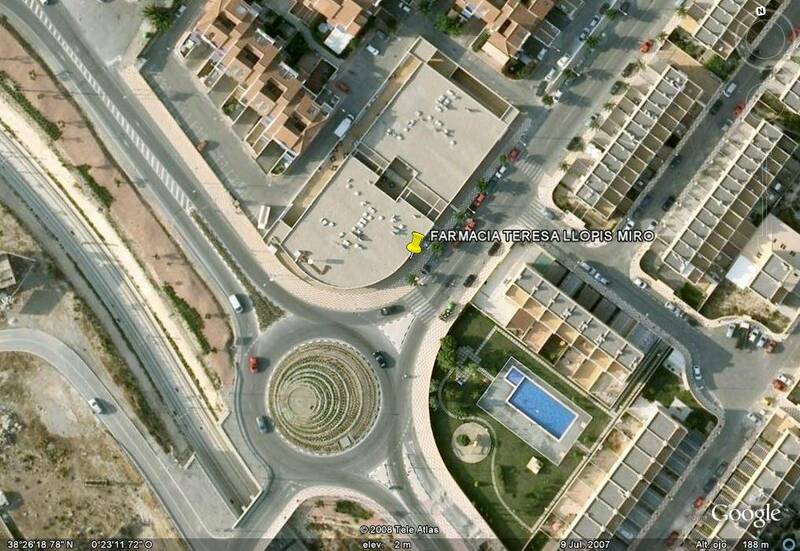 Relax Vis pods. PHARMADIET. 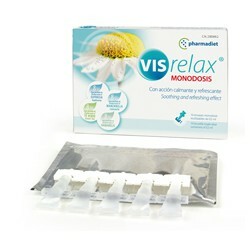 Eye drops in single-dose containers refreshing and soothing, which respect the physiological pH of the ocular mucosa based distilled water Euphrasia, Chamomile, Witch Hazel and green tea. Relax Vis continuous use. PHARMADIET. Relax Vis continuous use. PHARMADIET. 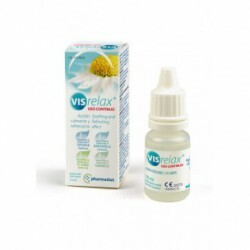 Eye drops or eye drops of sterile distilled water based Euphrasia, Chamomile, Witch Hazel and green tea with soothing, refreshing and antioxidant.